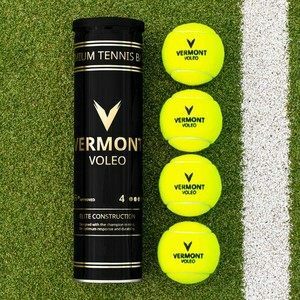 Our handy badminton package has everything you need to pick up a racket and play instantly. 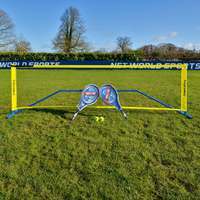 Includes posts, net, rackets & shuttlecock. 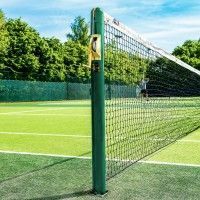 This incredibly lightweight set of badminton posts are perfect to set up in an instant and disassemble just as quickly for on the move. 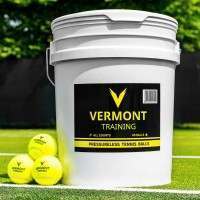 Each badminton package comes with a durable carry bag to easily transport you posts while keeping them safe and clean. 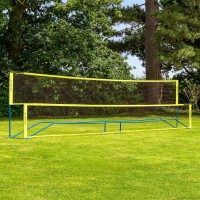 The Ultimate Garden Badminton Set Up! 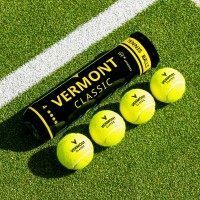 Our Vermont ProCourt Mini Badminton Net & Racket Set is great for families looking to enjoy a game of badminton together. It’s perfect for the back garden and comes in optional sized nets and rackets. 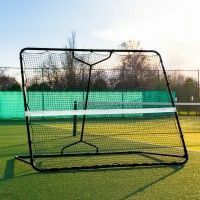 You can choose your net size out of sizes 10ft, 20ft and 30ft in length for what best fits your garden or sports club. 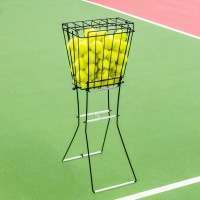 The 20ft or 30ft net option is great for playing doubles, which is why we include 4 rackets and 4 shuttlecocks! 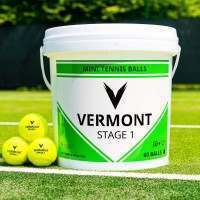 Personalising your badminton package is great if you are wanting the set up for a certain age or skill level. The junior badminton rackets are constructed from tempered steel to keep them lightweight while your young superstar learns to control and perfect their game. The senior badminton rackets are constructed with an aluminium head and hardened steel shaft to ensure a long lifespan. 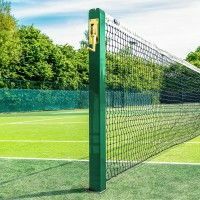 Our badminton net and posts are suitable for indoor and outdoor use, and thanks to their lightweight quality, you can move them between the two whenever you need to! 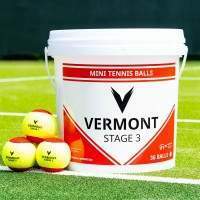 Check out Vermont Sports huge range of badminton equipment, from shuttlecocks to badminton rackets, we stock everything you need! Very high quality sports equipment. Highly recommended. Product arrived in good condition. I haven't used it yet so can't talk about its quality. 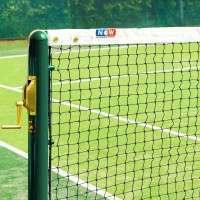 how high is the net (why is it called "mini")? Hi, thank you very much for the enquiry. 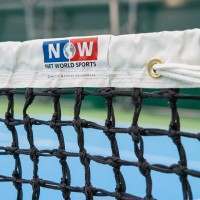 This net can be set at two heights, 5ft for mini badminton & 2.6ft for mini tennis. We will be using it in a mowed but uneven area. Will this work out in that situation? Why is it called ‘Mini?’ Why do you offer s 30 foot net when regulation is 20 feet?